As the raw diamond is polished, educational institutions imparts knowledge and empowers the students to overcome superstition and serve the society without fear. Educational institutions are the modern temples. We need large number of well managed educational institutions to impart knowledge to satisfy the growing demand from increasing population of our country. 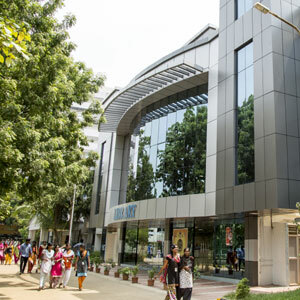 Since inception in 2008, Vels University has grown as a banyan tree into a multi-disciplinary University offering varied and innovative courses in emerging areas. 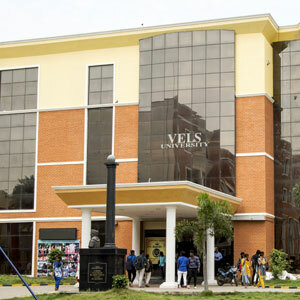 15 Schools at Vels University are now offering 48 UG Programmes and 40 PG Programmes besides MPhil & PhD Programmes in Arts, Science, Maritime Studies, Engineering, Management, Law, Education, Pharmacy, Catering & Hotel Management, Physiotherapy and Music. 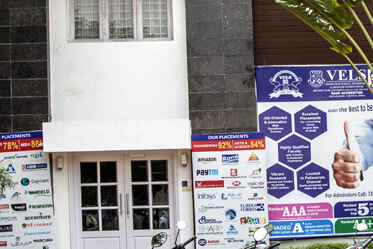 Choice Based Credit System is in place at Vels University, thus making education as student centric rather than as system centric or teacher centric. 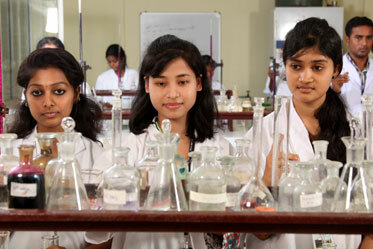 Students enjoy the flexibility of choosing inter-disciplinary, intra-disciplinary and skill based courses of their interest. Continuous assessment system has been introduced for all the courses. 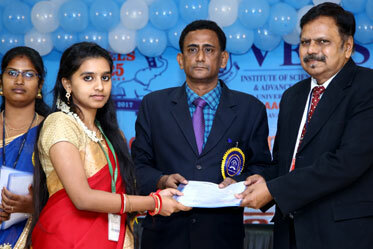 Linkage with industries is very strong at Vels University. 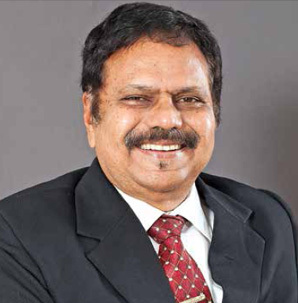 Experts from Industries actively take part in fine tuning the curriculum and syllabi periodically. Indeed some UG Programmes are conducted directly in collaboration with Industries. For the holistic development of the students, Personality development and Soft skill courses are taught as part of the curriculum. The teaching learning process is effectively ICT enabled and focused on Learning management system, Knowledge management system, Blended teaching, Flipped class room model and eResources through Moodle. 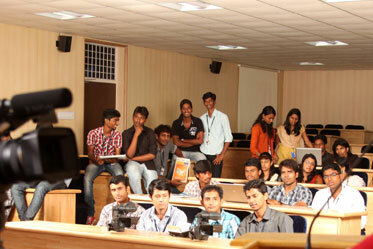 Edusat based class rooms are functional in all the departments. More than 200 faculty members, with PhD qualification, are busy in guiding large number of MPhil & PhD research scholars. 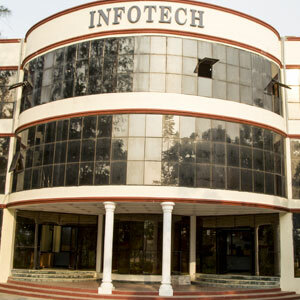 A Central Instrumentation modern facility consisting of Field Emission Scanning Electron Microscope, Powder X-ray Diffractometer, BET Surface Area Analyser, and Nano particle size Zeta Potential Analyser is set up to provide further impetus to research in Science and Engineering. This is reflected in increasing number of publications in SCOPUS and WoS indexed journals. 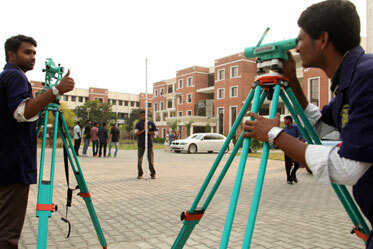 University campus is lively with Seminars/Conferences organized by various departments. 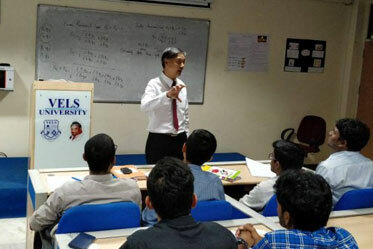 Thus, it not surprising to note that Vels University is the popular choice for researchers to do research, teachers to teach and students to learn.